One of the very few major upgrades introduced in Apple’s latest flagship iPhone 5s is its camera system. A new iSight camera lens with five-element Apple-designed lens with a larger f/2.2 aperture. Having been improved, it is certainly being compared against the Nokia Lumia 1020’s 41MP camera – inarguably termed as the best camera phone so far. 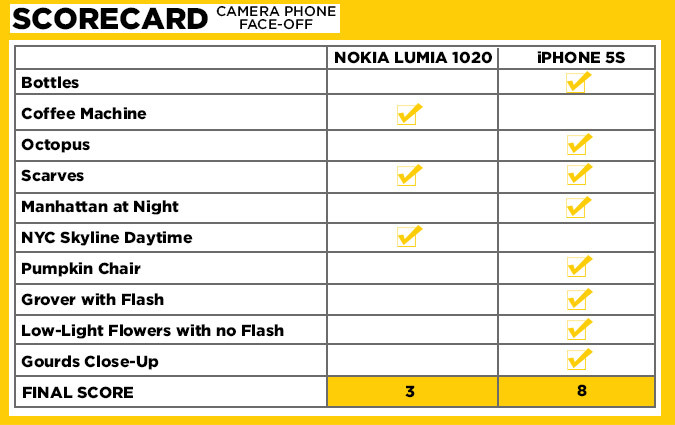 The Nokia Lumia 1020 boasts a PureView camera which shoots images at an extremely high resolution of 41 megapixels. It uses pixel oversampling to merge multiple pixel data into one resulting in some extraordinary imaging. 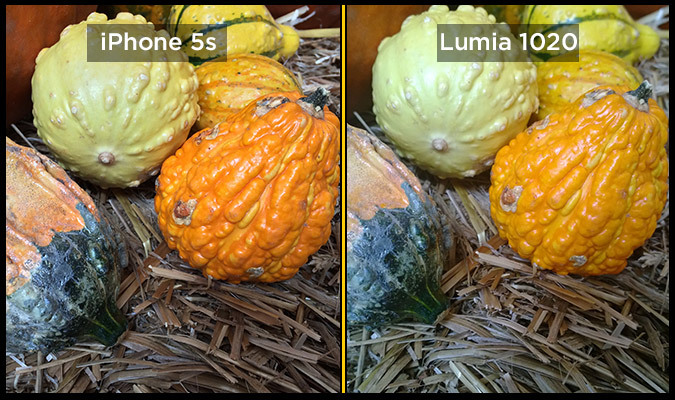 Considering that much pixel depth, iPhone 5s can combat against Lumia 1020 with its larger image sensor letting each pixel capture more light. It also has larger aperture which increases light sensitivity and a dual LED flash that makes photos look quite better in darkness. 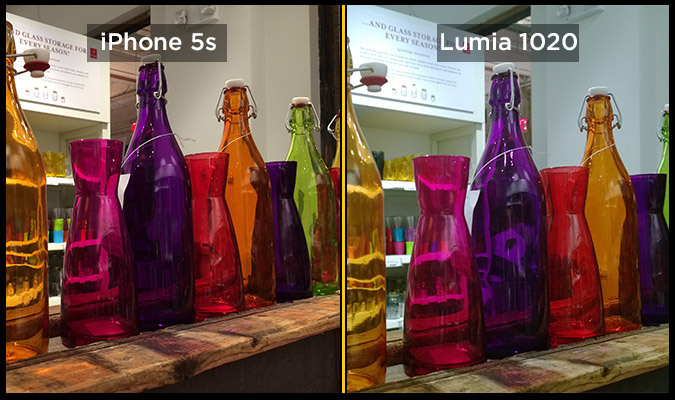 LaptopMag played an iPhone 5S vs Lumia 1020 Camera face-off to see how these two devices stack against each other’s camera. Cameras from both the iPhone 5S and the Nokia Lumia 1020 were used to take several shot in various scenarios including low-light environments, very bright outdoor conditions, close-ups, and indoor lighting. For this test, both the devices were set to their Auto settings, with HDR off and used the Sony NEX-F3 mirrorless camera as a control. 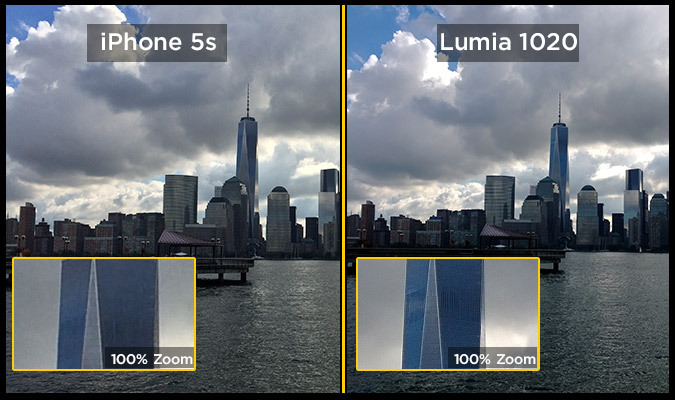 In the results of LaptopMag’s tests at least Apple iPhone 5S came out victorious even though Lumia 1020 has a highly specialized camera.